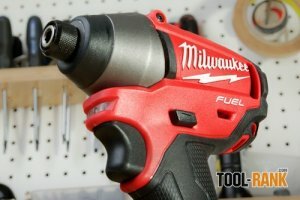 Back when I tested the Milwaukee M18 Fuel Brushless Hammer Drill, I found that it easily proved itself to be a powerhouse. It took on every task with speed, while also showing long battery life. Being that their M18 Fuel Impact driver is in the same M18 Fuel family, can it too prove to be a powerhouse? Let's find out. I wanted to test out the 2653-22 in a way that would be similar to how it would be used on the jobsite, so I turned to the ridiculous screws we use here in California to install cabinets into schools and hospitals. I grabbed some 3-1/2-inch #14 screws, a #3 Phillips tip, the 2653-22, and went to town sinking them into some 4x8 Douglas Fir. Typically on the jobsite these screws would only be going through the cabinet, a couple of layers of drywall, and the 2x wood backing. So our test is a bit more extreme, but still something you might run into on the jobsite. After first getting the screws started in the wood, it took the Milwaukee 2653-22 an average of five seconds to drive them the rest of the way. What is most impressive is that these speeds remained consistent throughout the test, going until the battery ran out. I was able to sink 74-3/4 of these screws into the Doug Fir until the 3.0ah battery had nothing left. 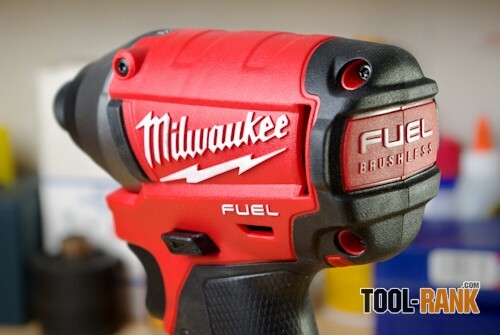 The interesting thing about Milwaukee's M18 Fuel tools is that once they run out of juice, they are out. There is no squeezing a little more out, the internal electronics prevent it. The 2653-22 is a top of the line tool, and as such, comes with top of the line features. 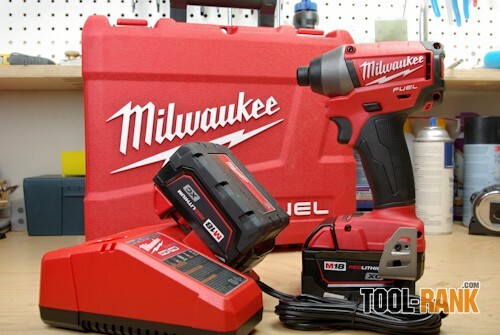 It uses Milwaukee's Powerstate brushless technology, which not only gives the tool more speed and power over traditional brushed-motors, they also deliver longer tool life with no wearable brushes that would need replacing. With a 1,600 inch-lbs torque rating, the 2653-22 had no problem in my screw driving test and should be more than enough for most tasks. 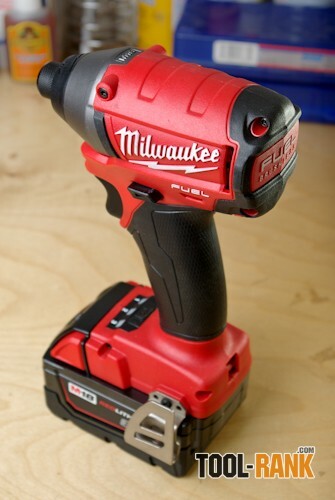 In fact, the torque is so high that Milwaukee included a 3-mode Drive Control feature that allows the user to limit the torque for lighter applications. If you are going back and forth between heavy and light tasks, you can always use the variable speed trigger to control torque. 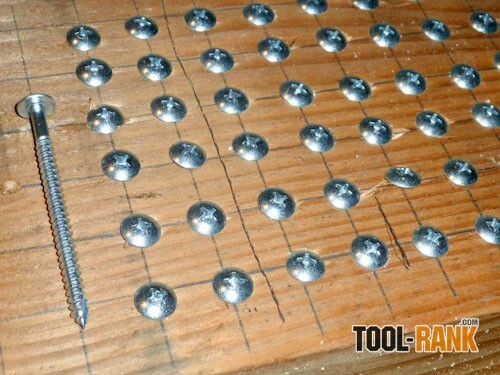 But if you will be running a bunch of small screws, it is much easier to just select a lower mode, and let the tool go to work. It's the little things make us happy, and the 2653-22 has them too. 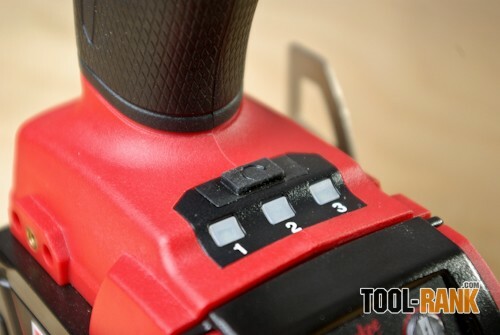 Milwaukee included an easier to use ¼-inch hex quick change chuck that doesn't require the user to pull forward the sleeve in order to insert a new bit. This chuck just saves a second of your time, but it is more natural and makes changing bits with one hand that much easier. I also like the fact that Milwaukee gave us a built-in LED light that stays on for a few seconds after the trigger is released. These few seconds give us a chance to move from one screw to another without having to do it in the dark. If you are going to be using an impact in your hands all day, it might be helpful to know how it feels. To me the Milwaukee 2653-22 doesn't fit my hand very well. While the tool is very much usable and not really uncomfortable to use, it's just that other brand's tools seem more comfortable to me. Often when using the impact my finger came close to slipping off of the trigger because of sweat build-up. I don't know if it is the size of my hands, but it just doesn't fit me. The weight of the 2653-22 is also something that should be considered. The tool feels very sturdy and I think the weight has a lot to do with this, but some prefer a lighter tool. Overall the 2653-22 is a great impact that comes in at a great price. To me the weight is a con, but others might like their tools with more heft. I feel the biggest problem that Milwaukee needs to work on is their battery charge time. 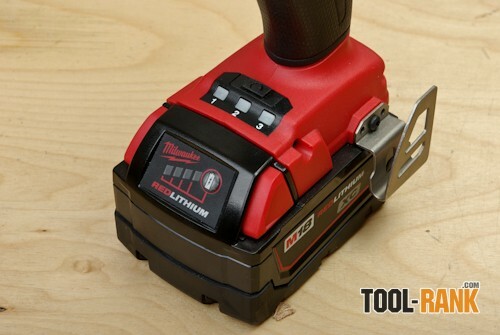 Previous tests showed that it takes about an hour to charge a single Milwaukee 3.0ah battery and this is significantly longer than their competition. 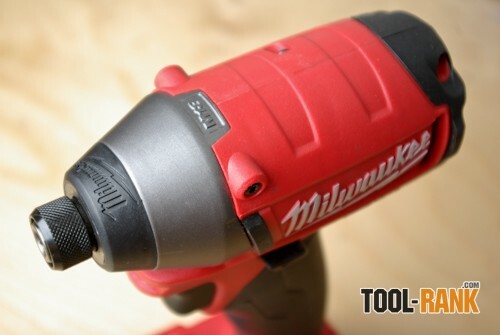 There are a lot of features that make the Milwaukee 2653-22 a great tool, and Milwaukee proved again that they are turning out powerhouses. 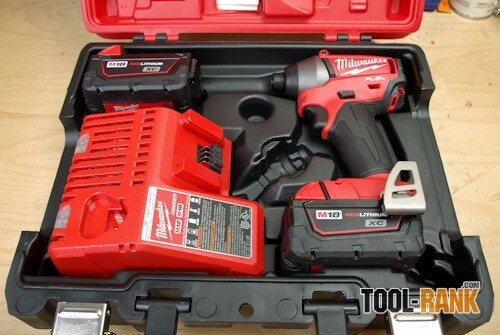 At around $330, you really do get a lot for your money and it would make a great companion to a Milwaukee M18 Fuel Drill. Impact provided by Milwaukee for review with no conditions.